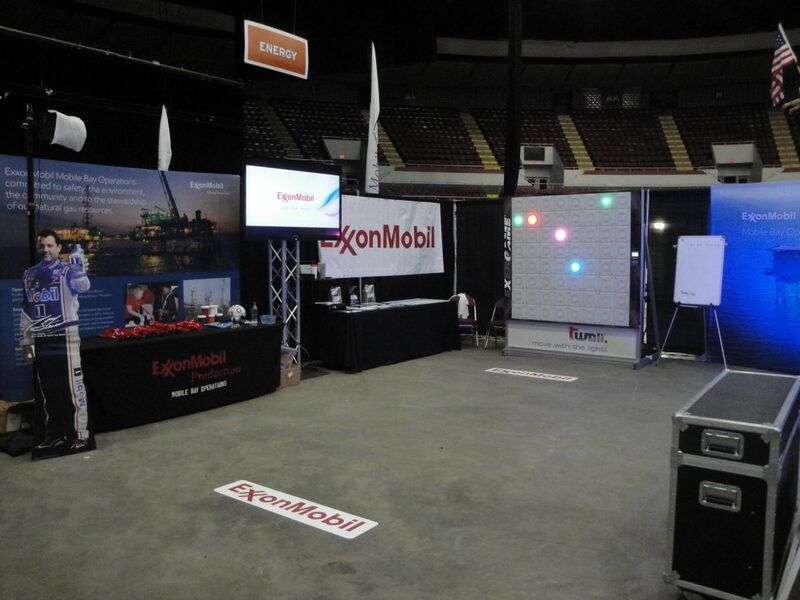 Recently Exergame Fitness was able to assist in another great corporate marketing event, this time with Exxon Mobil! With all the recent marketing events we have helped out with recently, including our 2nd annual T-Wall at NASCAR and a T-Wall at a grand opening of a Reebok store, this is very exciting to be a part of. 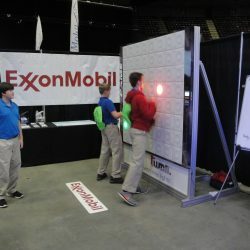 Check out our other big marketing events like Nick’s Kids Choice Awards, on our In Action page. The purpose of this event was something a little different from typical shows. 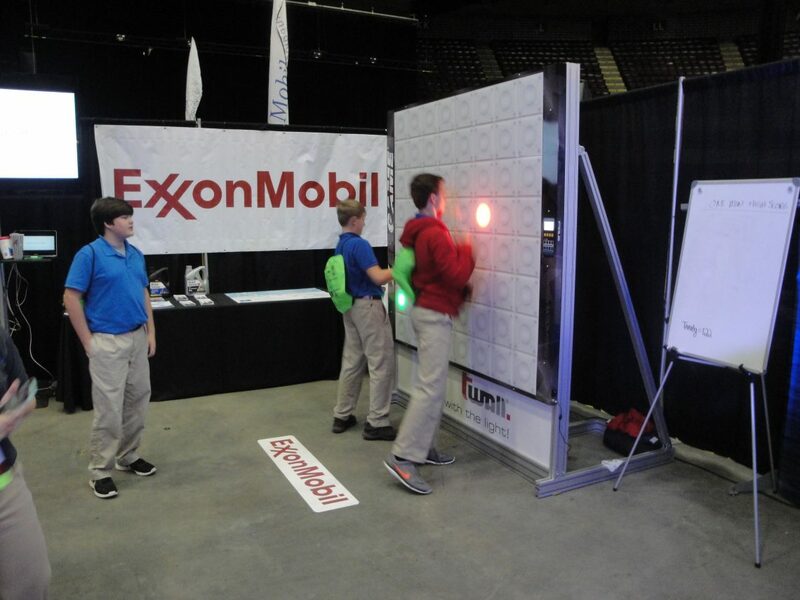 Exxon Mobil brought together lots of different big name companies for this event centered towards high schoolers – such as airplane manufacturers, infrastructure, medical, and much more. 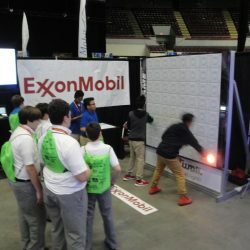 It was half a ‘job fair’ and half just for fun making it a unique mix of showing kids what they can do when they grow up and also showing them jobs/fields might not know exist. 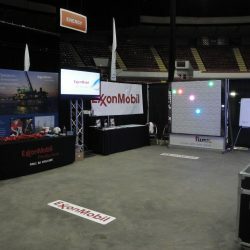 Our T-Wall 64 was requested to be at the event because like many other events – it does a spectacular job of drawing people in and keeping people’s interest peaked. 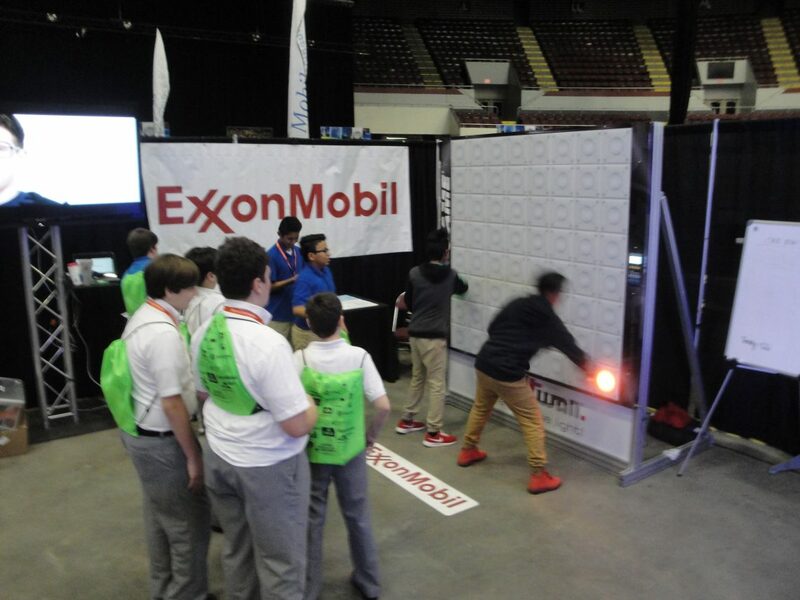 Nearly every single high school student that was present at the event got to try out the machine – which as a side note really shows us the durability of one of our exergaming machines. But as always we are happy just to have people experience interactive fitness and exergaming – spreading the word about our growing industry. Check out some photos of the event below. To view the rest of the photos of the event – check out our SmugMug gallery of the event here. Follow us on Facebook and Twitter for all of your interactive fitness and exergaming industry updates. Coming up next week we will be present at the 2016 NRPA Conference – come check us out!